PHOENIX (July 21, 2016) — Arizona’s 5th Congressional District, which holds the reputation of one of the securest Republican seats in the country, is set to elect a new congressman this November. Within the past seven weeks the race has changed, as outsider Christine Jones has surged into the lead with only two weeks until early voting begins for the primary election. In a survey conducted on July 19 of 408 likely Republican primary voters, undecided voters have dropped 26 percentage points since the last poll conducted on June 2. Despite the competition seen in the June 2 poll, the race has tightened up and Christine Jones now sits atop of the respective Republican field, ahead her nearest competitor by 7 percentage points. “When it comes to the battle of the faith vote Andy Biggs and Don Stapley garned just over half of the LDS demographic. Christine Jones made significant improvement in the other non-LDS religious communities,” Noble added. With Owens Harkey Advertising’s marketing and creative service resources coupled with OH Strategic Communication’s unparalleled messaging and strategic planning expertise, OH Predictive Insights provides accurate polling, focus groups, data analytics and advanced targeted marketing. Leading Arizona pollster Michael Noble from MBQF Consulting brings proprietary social statistics software and services to OH Predictive Insights providing clients with tools to solve their most challenging problems. With leading professionals in the advertising, communication, polling and political arenas, OH Predictive Insights will service political and non-political clients looking to improve their footing on key stakeholders and consumers. For more information, please call 602-254-5159. There’s no doubt for Republicans that 2016 will be a year that favors outsiders running for office. Career politicians are out, conservative non-politicians are in. That certainly is the situation in several Arizona political races and especially in the East Valley. With the exception of one candidate, Arizona’s 5th Congressional District is crowded with career politicians – though you would never know it based on the rhetoric of the candidates. In reality, this club of career politicians has a combined total of 38 years in politics! Let’s look at the messaging of each of these candidates. Posted all over Justin Olson’s campaign website is the theme that Washington politicians are the problem and he is not one of them. He even claims not to be a career politician and qualifies the statement by stating he hasn’t spent 10, 12 or 14 years in office (a comparison to two of his Primary opponents). Here’s what he doesn’t tell you. Justin Olson was first elected to the Arizona House of Representatives in 2010. By the end of this year, he will have been in office a total of six years. 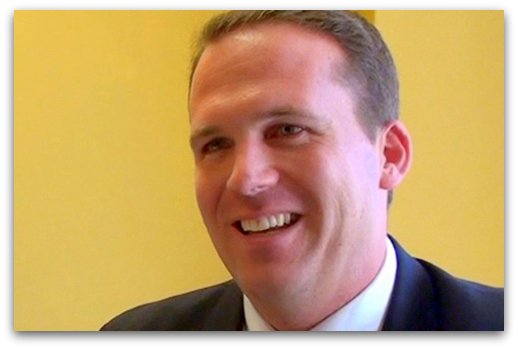 Instead of pursuing a fourth term (Arizona’s Constitution limits legislative office to four terms or eight years per chamber), Olson has decided to jump for the open congressional seat of retiring Matt Salmon. This ambitious and risky move to pursue a federal office has career politician written all over it and it’s why we label him as a career politician. One other note. Olson also takes on lobbyists on his website but fails to disclose that he received almost $27,000 in campaign contributions from PAC’s and special interest groups during his 2014 campaign. Andy Biggs is also running on the anti-establishment theme. On his website, Facebook page and Twitter feed , he tries to make the case he’s a political outsider taking on ‘the establishment.’ One of his press releases even touted an endorsement by Ohio Congressman Jim Jordan who stated Biggs would “challenge the Washington establishment.” His website is littered with endorsements from Arizona politicians, Washington insiders and unions. Andy Biggs has also been working the Arizona political system for almost 14 years. Even before he was elected to the Arizona Legislature, Biggs was part of Matt Salmon’s inner circle during Salmon’s unsuccessful gubernatorial bid in 2002. That same year, he also ran for political office and was elected to the Arizona House. He was term limited out of the Arizona House in 2010 but jumped over to the State Senate in 2011. He’s been there for almost six years. Total time as a career politician -14 years. Then there’s Don Stapley. Throughout Stapley’s messaging, he is proud of being a career politician. His campaign ad boasts about coming from a family of politicians. And of course, he dotes over his 18 years as a Maricopa County Supervisor. 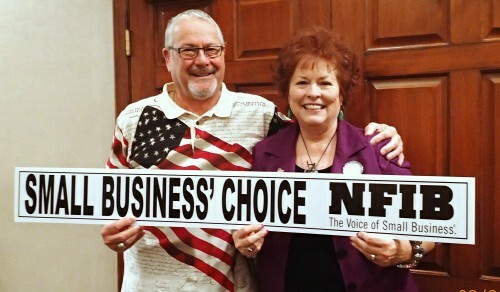 Stapley does rail against regulations by the federal government but unlike the other two aforementioned candidates, Don Stapley has embraced his inner politician and has no problem expressing public displays of that form of affection. Given the current political times, it’s doubtful that Stapley’s strategy will be a path to victory for the nomination but what else will work for a man who dodged seven felony charges because the judge believed political motivations tainted the case? Altogether, Olson, Biggs and Stapley bring a total of almost four decades of politics to the CD-5 race. Even with all the unpredictability of the 2016 elections, there is one constant. Voters will no longer tolerate or elect career politicians – a problem that Justin Olson, Andy Biggs or Don Stapley cannot seem to hide or evade. “As we work together to advance conservatism in Arizona, we need strong leadership at the helm of our Republican Party. Robert Graham is right person to lead us to victories in 2014.”PHOENIX — Justin Olson, Republican Representative from Legislative District 25 in Mesa, endorsed Robert Graham in his race for Chairman of the Arizona Republican Party. Olson, who has been recognized as a “Rising Star” by the Arizona Project, endorsed Graham because of his plans for the Arizona Republican Party. Have you ever been confronted, confounded and stymied by a state bureaucrat who refuses to do his or her job? A significant chunk of small business owners’ frustrations with the bureaucracy can properly be placed on miserable individuals rather than on foolish or short-sided rules. Often it’s the entrenched middle managers in state employ who use and abuse their discretion within a regulatory environment to give government a bad name. Sometimes arrogance is to blame. Other times it’s incompetence. Mostly, both are actively in play. There’s a reason government isn’t run like a business. It just isn’t set up that way. But is there really nothing to be done to improve the situation? Happily, there is plenty that can be done to make state government more accountable, more responsive and even a better place to work that rewards high performance. The core of this long-overdue reform is to turn away from a sclerotic system that tends to bend over backwards to protect bad employees while it cavalierly discourages good employees by keeping them from achieving the rewards and pay they deserve for serving the taxpayers well. About 80 percent of Arizona state workers are “covered” employees with the remaining 20 percent being “uncovered” or at-will employees like those in the private sector. That means four out of five state bureaucrats are protected from the normal considerations and expectations demanded from those working outside of government. Try firing the lazy, insubordinate and incompetent in an environment where they can appeal their demotion, discipline or dismissal to a board that can, and far too often, overturns the decision of the executive responsible for the action. No business could succeed or survive under these rules. Is it any wonder why our state government underperforms? Leading Governor Brewer’s reform movement in the Arizona Legislature are Rep. Justin Olson and Rep. Justin Pierce, both from Mesa. After fours years of implementation, their HB 2571 will completely flip the state workforce’s ratio to 18 percent covered and 82 percent at-will employees while maintaining necessary protections for full authority public safety officers. Assure that employees are protected against coercion for partisan political purposes. These principles will provide a firm foundation to build a state workforce that respects and serves the taxpayers who fund it. This reform creates the mechanisms to reward the worthy and remove the worthless. 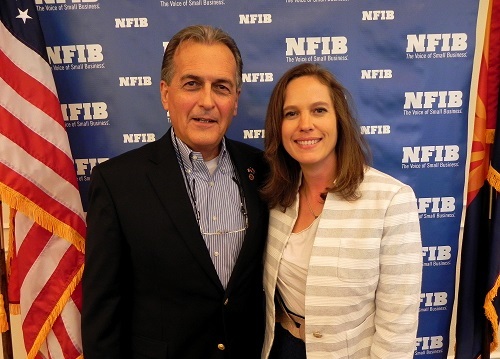 HB 2571 deserves and has the support of Arizona small business owners and of NFIB. 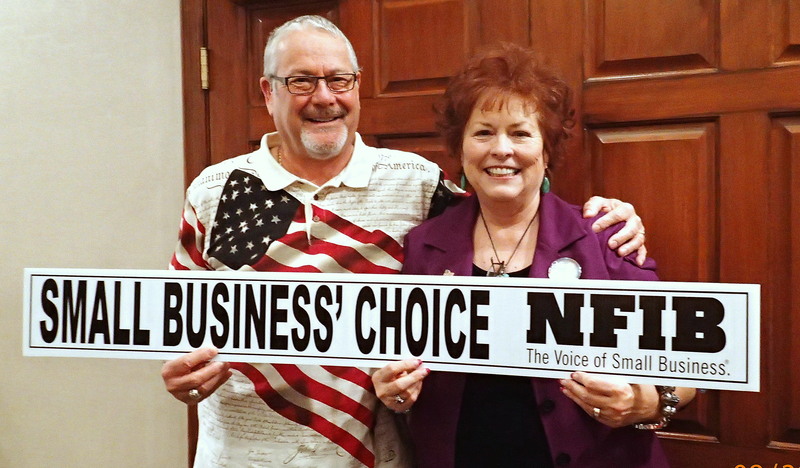 Farrell Quinlan is Arizona state director for the National Federation of Independent Business, the voice of small business with 7,500 small business members in Arizona. UPDATE: HB 2571 passed the Arizona House of Representatives on Wednesday, March 14th on a 39-19 vote. The Arizona Senate now takes up the legislation. Further changes are expected to the legislation meaning a final House vote will be necessary later this session. Please continue to contact your legislators in both the House and Senate until this important reform is sent to the Governor for her signature. 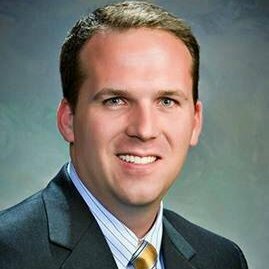 Justin Olson, a Senior Research Analyst for the Arizona Tax Research Association (ATRA), recently resigned from ATRA to pursue a seat in the State House of Representatives from legislative district (LD) 19. 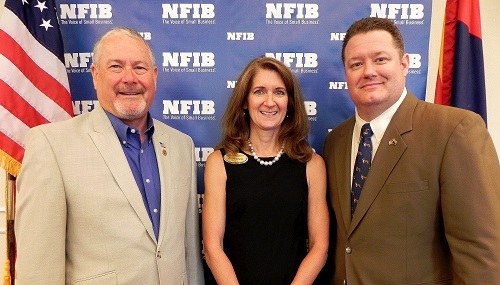 In addition to Congressman Trent Franks, Senator Chuck Gray, and former Mesa Legislator Rusty Bowers, Justin’s campaign is also endorsed by State Representative Laurin Hendrix, State Senator Sylvia Allen, State Senator Linda Gray, State Representative Judy Burges, LD19 Republican Chair Pat Oldroyd, Former LD19 Republican Chairman Chuck Daggs, LD19 Republican State Committeewoman Deborrah Miller, LD19 Republican 2nd Vice Chairman Dan Grimm, LD19 Republican 3rd Vice Chairman Bill Whitehead, and LD19 Republican 3rd Vice Chairman and State Committeeman Brandon Trichel. To read more about Justin’s views on issues go to www.votejustinolson.com.